The India Government Consists of Three Branches. The modern India Government was originally formed through the Constitution of India. The Constitution was approved by India's law making officials, officially known as the Constituent Assembly, on November 26, 1949 and went into effect on January 21, 1950. The reason this important document was created such as short time ago, is because India was ruled by the British and British approved princely states for the time period prior to the constitution's creation. The government of India is officially known as the Union Government, but is also sometimes referred to as the Central Government as well. Whatever you call it; it is the powerful governing authority of the Indian union, which is made up of 28 states and seven union territories. Together, these states and union territories are known as the Republic of India. 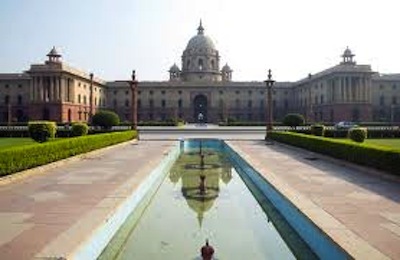 The India Government leaders are located in New Delhi, which is the capital of India. It's what Washington, DC is to the United States. Like the United States, there are three branches of the government in India that were established in order to check and balance the overall government. These three branches of government are the executive, the legislative and the judiciary branches, just like in the United States. The executive branch is led by the President; he is Head of State and either exercises his powers directly, or through officers that rank beneath him. One difference in the government of India's executive branch versus the United States executive branch is that India's also has a Prime Minister, similar to Britains. The President selects a Prime Minister that he believes will be able to successfully lead the Lok Sabha, which is the Lower House of the People in India, representing the greater population. The person selected for this important role is usually the same person that leads India's majority party. This is one of the most powerful positions in the India Government. The President also appoints the members of the Council of Ministers and he delivers instructive portfolios to these members based on the direction or opinion of the Prime Minister. The Council of Ministers stays in power during the President's term, but the Council of Ministers has to remain in the favor of the Lok Sabha. The President can not dismiss Council Ministers on his own because it could lead to a constitutional crisis. So, the Council of Ministers cannot be dismissed as long as they have the support of the majority in the Lok Sabha. The Legislative branch, or Parliament, includes the lower house, called the Lok Sabha, and the upper house, called the Rajya Sabha. The president works with the house to make, change and enforce policies over the Republic of India. The Lower House and the Upper House are similar to the Congress and the Senate of the United States, as far as their role to the Republic of India. The Judicial branch is lead by India's Supreme Court and it includes 21 High Courts, and numerous civil, criminal and family courts at the district level. The primary civil and criminal laws that govern India are written in the legislation of the Parliament. Indian Civil Procedure Code, Indian Penal Code, and the Criminal Procedure Code are examples of these. Each union and individual state government includes its own executive, legislative and judicial branches too. Thus, the India Government is duplicated on a more local level to the people who reside in each district of India. India's legal system applies to both the federal and individual state governments. It's based on the English Common and Statutory Law, which was directly influenced through the British Occupation. India does accept International Court of Justice jurisdiction, with several reservations, and is now an independent nation. In recent years, India has bulked up its military weaponry and army to address China, who became its biggest threat in the region after tension between India and Pakistan recently died down. Leave India Government to discover India culture. This link will take you to the official website of the Indian Government. Visit our homepage to explore India.